Giving Tuesday is your chance to support nonprofit organizations during the holiday shopping season. 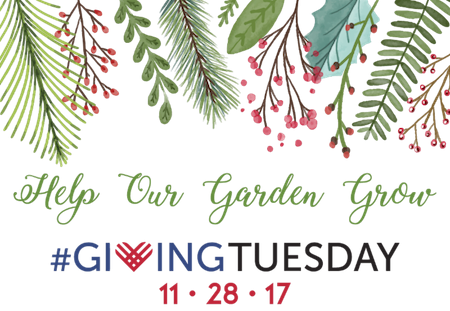 As you consider your holiday giving, we at New Village Arts hope that you will help our garden grow by donating any amount you are able. As an added thank you, if you donate at least $20 before December 25, you will be entered into a raffle to win a private concert with Paul Eddy, who played Buddy Holly in BUDDY – THE BUDDY HOLLY STORY. Your donations will go to support our Education & Outreach Programming (including Mindful Theatre, a new improvisation-based program for individuals living with Alzheimer’s and dementia), our bilingual outreach program Teatro Pueblo Nuevo, and to support the remainder of Season Seventeen’s productions. For more details, please click the link. We have a lot to be thankful for this year and we hope you do to. Family, friends, and a beautiful place to call home. What more can we ask for? Grateful. The Delany sisters invite you into their home to share a home-cooked meal in remembrance of their father’s birthday. As they reminisce about their long and storied lives, they will take you on a remarkable and enlightening journey through the last hundred years of America’s history… through Reconstruction, the rise of Jim Crow, two world wars, the celebratory rise of the Harlem Renaissance, and past the civil rights and women’s rights movements, their story becomes not only a story of African American women, but a story of America itself. HAVING OUR SAY is based on the bestselling book by Amy Hill Hearth, which remained on the New York Times bestseller list for 105 weeks, and has sold over 5 million copies. Pay-what-you-can Previews begin May 12! NVA is committed to making theatre accessible for everyone. As with all MainStage shows, the preview performances are lower cost or Pay-What-You-Can! You can guarantee reserved seats for $25 by clicking on the link below, or show up one hour before curtain time and “Pay-What-You-Can” for any remaining seats ($10 recommended minimum; seating very limited). Surf’s up at Cape Rey Hotel Carlsbad with Brews, Beats & Eats on Friday, March 24, 2017 starting at 5:30 PM. And the best part? Ten percent of the proceeds will go to the California Surf Museum. Taste craft BREWS from Stone Brewing Company, Bay City Brewing, and Iron Fist Brewing, enjoy beats with live music from local sensation, Ottopilot, and indulge in unlimited eats at our Cape Rey Taco Bar, boasting mahi mahi and pork carnitas tacos with all your favorite xings! Tickets are $35 for four tasters, one pint and full access to the taco bar, $20 for beer only, and $15 for taco bar only. It’s a good evening for a great cause. Cape Rey is located at 1 Ponto Road in Carlsbad. Click the link to buy tickets. 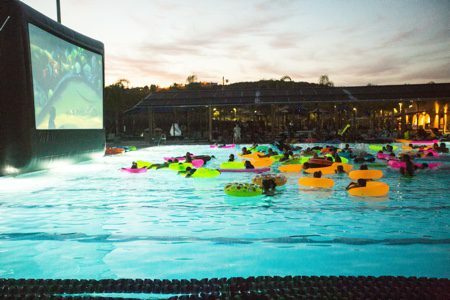 On Saturday, July 9, 2016 enjoy the Alga Norte Pool and the film Cloudy With a Chance of Meatballs all at once with the City of Carlsbad’s Float and Flick. 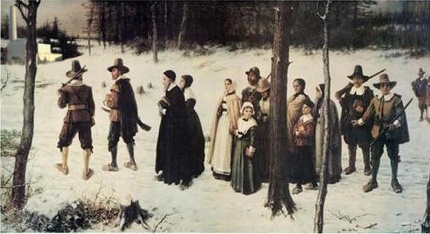 The event begins at 7 p.m. and movie begins at dusk. Tickets are $8 per person and kids ages 3 and under are free. Register online and pick up wristbands at the event, or register in person at Alga Norte Aquatic Center and get your wristbands immediately (no replacements for lost or forgotten wristbands). . . Enjoy dinner at the Dive In Grill open during the event. Menu includes made-to-order grilled burgers, chicken sandwiches, pizza, shaved ice, ice cream and other tasty treats. No outside food or drinks are allowed. Alga Norte Aquatic Center is located at 6565 Alicante Road and is open seven days a week. For the official word from the City of Carlsbad, please follow the jump. 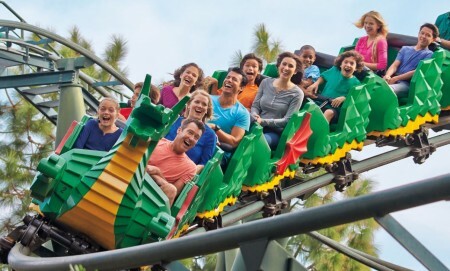 Tickets are now on sale for the one (partial) day each year when Legoland is arguably worth the price of admission. April 23, 2016 is Carlsbad Day at Legoland thanks to the Carlsbad Educational Foundation. This means that if you buy tickets in advance from the Carlsbad Education Foundation you can get a partial day (1 PM to 8 PM) entry to Legoland for $35. In addition, “a percentage of ticket sales” will help fund “enriching STEM programs” (science, technology, engineering and mathematics) that the Carlsbad Unified School District is apparently unable to provide to the students of our fair city. In other words, if you’d like to help the Carlsbad Educational Foundation help the students of a school district that can’t figure out how to provide the education Carlsbad kids deserve and visit an overpriced theme park for a reasonable price then please, Click here to purchase your tickets.